Possess mechanically-stable hierarchical porous structures that allow facile mass diffusion of reactants and products with drastically different properties in a common porous medium. 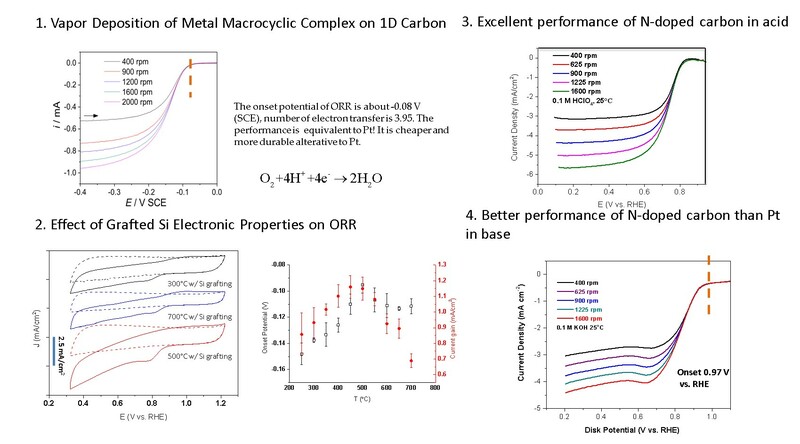 Evenly- and densely-populated active species that are electrically connected to the porous 3D carbon surface are while also physically in contact with the required reactants for chemical reactions. 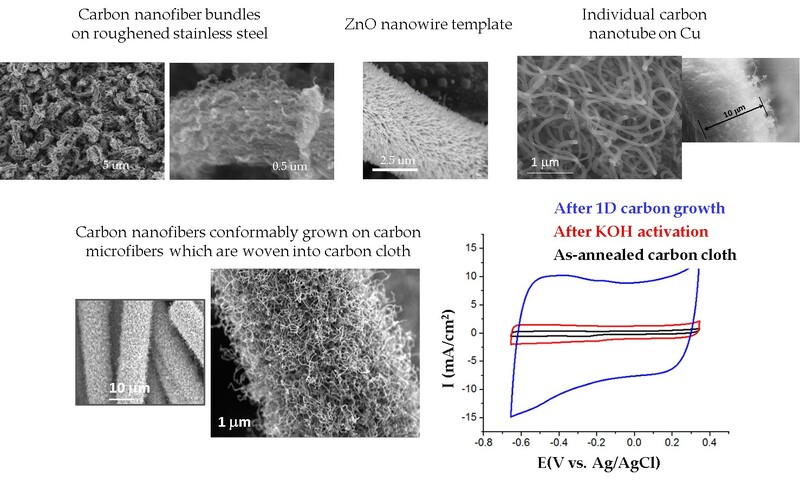 Grow 1D inorganic nanostructures directly on a carbon support, such as etched carbon cloth, This forms a mechanically stable 3D carbon structure with an extremely large surface area but with minimum tortuosity for last kinetics. Develop methods to graft a thin polymeric layer for the formation of highly-active electrocatalytic or electrochemical species on the as-formed 3D carbon surface for high volumetric activity.